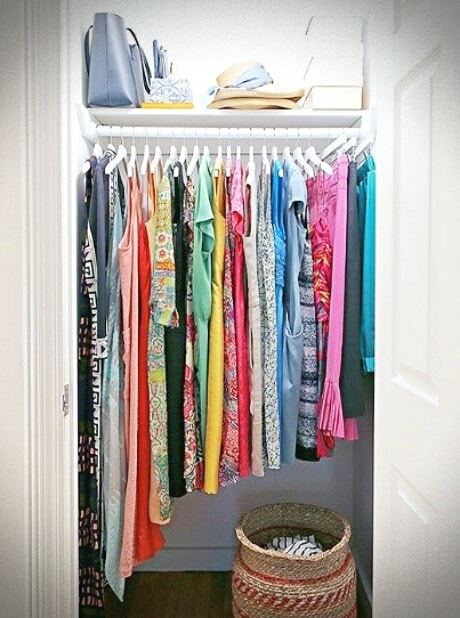 Keeping a closet organized can be a chore! Find Tips & Tricks to master closet organization and a sense of calm. Spring is here and thinking about closet organization can bring anxiety. But, with these tips & tricks to master closet organization can bring a sense of calm and pride. Tidying up with Marie Kondo must have been the perfect way to welcome in year 2019 in minimalist fashion. People all over the world are training themselves with the help of Marie Kondo’s book and Netflix series to organize their closet, tackle the job of decluttering their home, practice the ultimate method to fold a shirt, and master the art of the Marie Kondo pants fold. Check out all the positive outcomes this new trend can bring to your life in this article on One Kings Lane. If you haven’t had a chance to read or watch Tidying up with Marie Kondo – the Japanese declutter master – take a minute to check out this article on We KonDo it! Sure it’s easy to throw all your clothes out of the closet and on the bed but how about putting things away? I love how Do it yourself closet organizer Danielle simply sums up the best practices of tidying up your closet. Her DIY tips are helpful because she shows you how to apply the rules to your own personal closet situation before deciding if you will organize by color, organize by length, heaviness or a come up with a combination of the options. Start you declutter challenge by hearing from someone who has done it themselves. Source: We Kon Do It! Is it possible? Can you truly organize your closet for good and keep it that way? 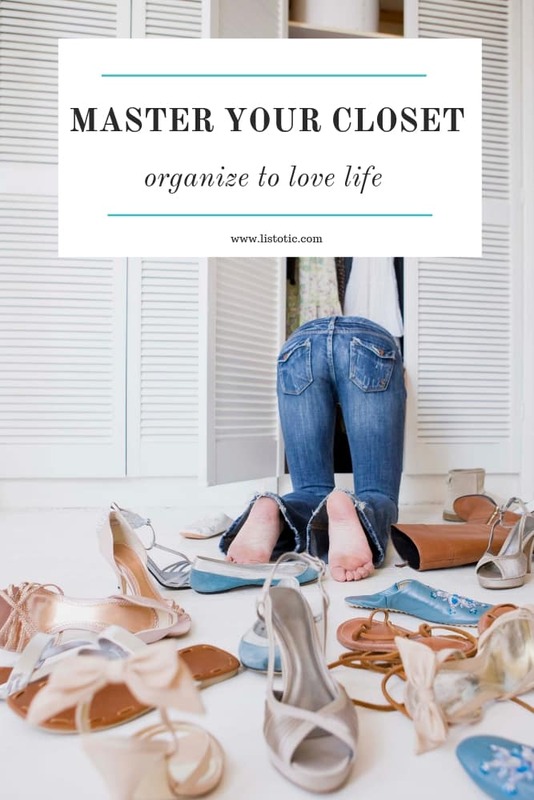 This article found on Elbow Room recommends 18 helpful strategies from professional organizers on closet organization systems that work. If you don’t find some ideas in there that raise your eyebrows then you probably already have a tidy closet. 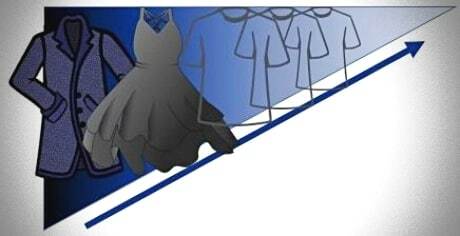 The best way to declutter and organize your closet is to read up on best practices so you can do it yourself. View the entire list of Tips & Tricks to Master Your Closet Organization.